This pet-friendly cottage, with its own walled garden, has been converted from a small 17th Century barn, retaining much of its original character. Mount Cottage - Bishops Castle, Shropshire. Self catering accommodation, Heart of England Tourist Board 4 star rating. 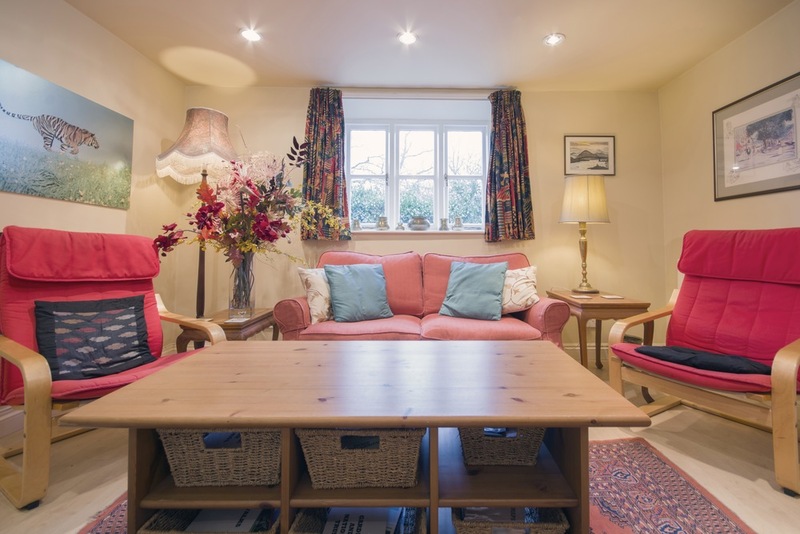 It is centrally heated and decorated and furnished to a high standard. The living area is cosy and warm and the attached kitchen is modern and well-equipped. There is a bathroom/ W.C. with over-bath power shower and a separate second W.C. 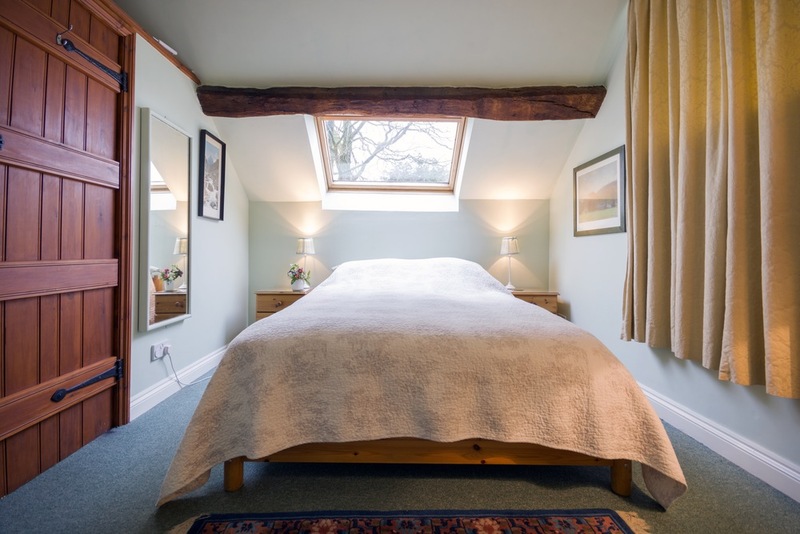 There are two bedrooms, one double and one twin-bedded, with beams throughout. The Cottage has oil central heating, electricity, and is on the mains water supply. There is Free WiFi, a colour TV/DVD/CD/Radio, automatic washing machine, dishwasher, freezer, microwave, duvets, linen and towels. The garden has a bench, table and chairs, and a BBQ. There is a garage beside the cottage and roadside parking nearby. The shops are only a 3 minute walk away. The nearest station is in Craven Arms, 12 miles away, but there is a bus service from Bishops Castle to Shrewsbury (half an hour by car). Well- behaved pets are welcome. The cottage is for non-smokers only.